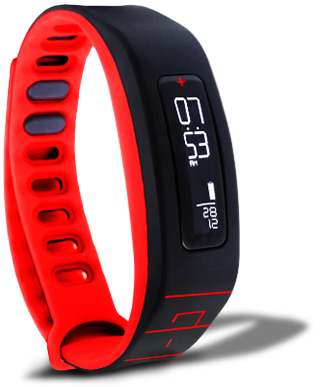 Fitness-tracker start-up GOQii Technologies has received an undisclosed investment amount from Paytm founder and CEO Vijay Shekhar Sharma ahead of the first institutional funding it expects to raise this year. GOQii is a Menlo Park, California-based fitness technology venture that offers a wearable fitness band paired with remote personalized coaching.The band itself is free, and users pay a subscription fee for personalized coaching. The device, which has an OLED display and humm vibration module, tracks steps, distance, time, calories, active time, and sleep. Vishal Gondal founded the company after selling his former startup, Indiagames, to Disney in 2011 for approximately $100M.After closing its beta Beta program in April 2014, GOQii became commercially available in India in August 2014. In January 2015, the company launched a limited US beta only open to 500 initial customers in the U.S. Selected applicants receive 12 months of personal training through unlimited chat and monthly video calls over the company’s mobile app. With operations across countries such as Singapore, India, Malaysia, Dubai, Abhu- Dabi,US GOQii already has an existing user base of under 50,000 customers in India, integrating with 35 major fitness bands including Jawbone, Fitbit, Garmin, Moov, Misfit and Sony. Users have to decide on a goal and chose a coach to guide them on the application.It has raised over USD 2.5 million. Its other investors include names like Mahesh Samat (Epic), Mike McNamara (Flextronics), Neeraj Arora (WhatsApp), Marco Argenti (Amazon) and Rajan Anandan (Google), among others. According to sources, the company is in talks to raise more funds to fuel its expansion plans.